This magnificent durry is 100% handmade in finest cotton denim chindi with natural jute yarm. It has modern design and also suited for modern home decore. - Cotton denim is the latest trend in 2017. 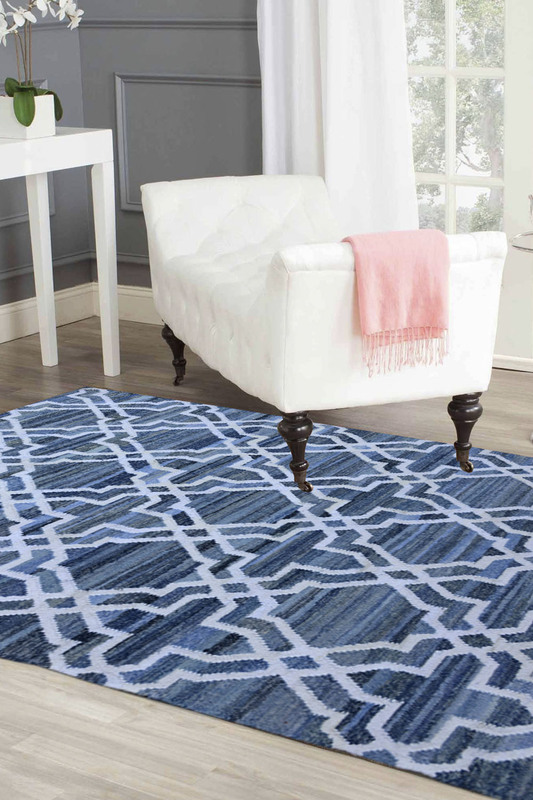 - This is the new concept in flooring rugs. - This dhurrie is made of cotton denim chindi and cotton yarn. It means the warp in pure and finest cotton yarn with cotton denim chindi . - This is also the best use of wastage cloths.